Down Syndrome Education International and Down Syndrome Education USA (DSE) are internationally-recognised charities dedicated to raising levels of educational achievement among children with Down syndrome. We have been at the forefront of developmental and educational research and evidence-based services improving outcomes for children with Down syndrome for over 30 years. Every child deserves a good education - one that welcomes them as a valued member of their community and recognises their individual learning needs and their particular strengths. Children with Down syndrome experience a variety of delays and difficulties that affect many areas of development. Research is steadily improving our understanding of these challenges. It is also helping us to identify more effective teaching approaches. Our vision is successful education for all children with Down syndrome. We want every child with Down syndrome to have every opportunity to achieve their individual potential and to live more fulfilling and rewarding lives. Our mission is to improve developmental and educational outcomes for children with Down syndrome. We focus on delivering measurable improvements in speech and language, reading and literacy, and number and maths skills, memory and cognition, social development and educational attainment. Our scientific research advances understanding of the children's development and learning difficulties and evaluates new teaching approaches. Our services and our specialist resources empower families, teachers and therapists with the knowledge and tools needed to offer children with Down syndrome highly effective support. By advancing evidence-based practice, we leverage substantial public and nonprofit sector investments in early intervention and education services. Each year, we help over 120,000 families, teachers, therapists, schools, non-profit and government service providers to provide more effective support to young people with Down syndrome. Down Syndrome Education International is a UK registered charitable company through which we operate our UK and international research activities and outreach services. Down Syndrome Education International owns a social enterprise subsidiary - Down Syndrome Education Enterprises CIC (a UK registered community interest company) - through which we operate publishing, training and consulting services. Down Syndrome Education International and Down Syndrome Education Enterprises work in partnership with Down Syndrome Education USA - an associated US-based nonprofit. Down Syndrome Education International was established in 1987 by Professor Sue Buckley OBE, our Chief Scientist. Professor Buckley is widely regarded as one of the world's leading researchers in the education and development of children with Down syndrome. Her work has been recognised through many awards, including the inaugural scientific award at the first international Biennial Scientific Conference on Down Syndrome in 1998, an OBE for her services to special needs education in the Queen's 2004 Birthday Honours List, and the Theodore D Tjossen Research Award by the National Down Syndrome Congress in the USA in 2005. In 2016, Sue was presented with the National Down Syndrome Congress' Education Award "for improving the lives of children with Down syndrome by developing innovative research-based education techniques." Today, the charity is led by Professor Buckley's son, Frank Buckley, who since 1996 has helped lead its growth from a small trust to a major research and services provider. Since being appointed CEO in 2007, he has refocused and grown the charity's research activities and extended the reach of its services, accelerating the pace and expanding the impact of scientific progress for young people with Down syndrome. The members of our Board of Trustees possess extensive research, education, management, accounting and marketing expertise and experience. Many are also close relatives of young people with Down syndrome. 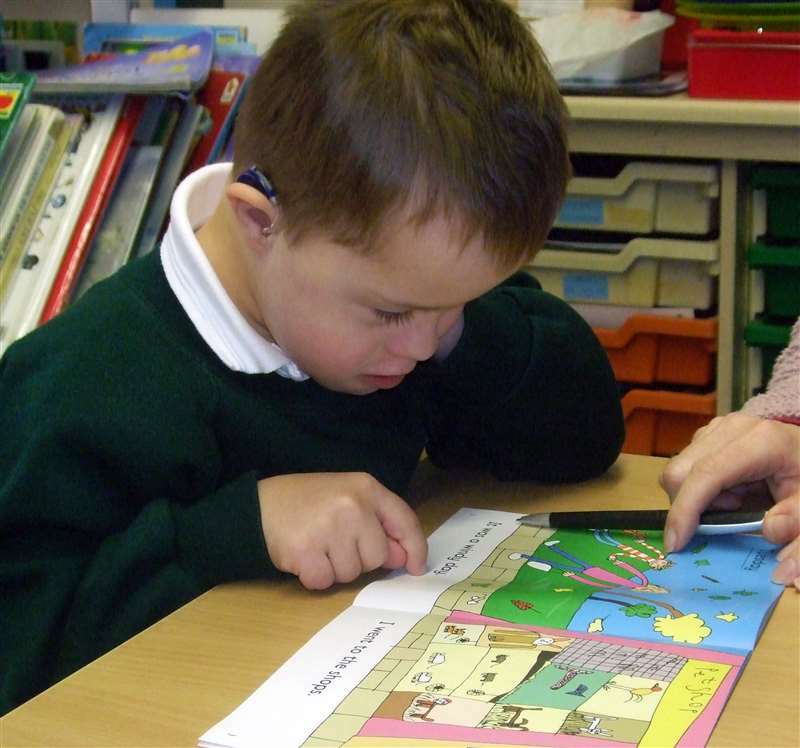 Our particular expertise was recognised by the UK government in 2005 when it chose us to lead the development of the Early Support programme materials for children with Down syndrome. In 2008, the Big Lottery Fund awarded grants over three years totalling £481,000 to conduct the first large scale trial of a teaching programme for children with Down syndrome. In recent years, we have received grants towards research, information, training and consulting from the Baily Thomas Charitable Fund, The Wates Foundation, Garfield Weston Foundation, the Equitable Charitable Trust, Newby Trust and the Big Lottery Fund in the UK, EVRY in Norway, and the Lyle Foundation in the USA.